One of the big things your NICU team will talk to you about upon discharge is protecting your baby from getting sick. With RSV season still in full swing, this is a hot topic! Most preemie lungs are very underdeveloped, so getting sick can be very serious. When my daughter was finally discharged I knew that I didn’t want to see the inside of a hospital ever again; I wanted to do what I could to keep her well. While doctors and hospitals certainly are important, there are lots of things parents can do to boost their child’s immunity naturally in the comfort of their own home. Boosting your child’s immune system naturally can be fun, help with bonding, and is considered safe when done correctly (*doing your research and checking with your pediatrician first is a good idea). These are also really important things to do while traveling with your preemie. When our preemie was born, we lived six hours away from any family so we traveled to see them, this made me a nervous wreak as I didn’t want her to get sick from being around new germs and people. However, these natural tips have kept her well and healthy, and put my heart at ease. Here are some of my favorite tips that helped us. Hopefully, you’ll be able to find one or two that work for you! As always, please consult your health care provider beforehand. As strange as it sounds, probiotics will boost your child’s immune system. Over 80% of the body’s immunity is found within the gut! This came as quite a surprise to me when I was researching boosting our preemies immune system, but we have found that it has made a huge difference for keeping her well. A quality probiotic supplement can help boost immunity by producing more antibodies and keeping bad bacteria out of your child’s gut. If you’re interested there are some great over the counter supplements that you can buy, but talk to your doctor and ask what his/her recommendation may be. There are lots of powder options that you can travel with and put in bottles for your baby or mix in their baby food. 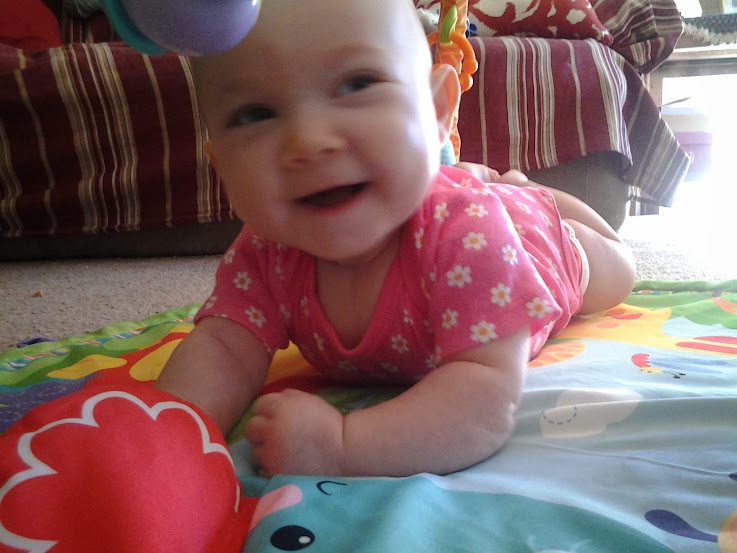 When our daughter was in the NICU, she had all kinds of medications and tests. We knew that when she was finally discharged, we wanted to try and use natural solutions to help her body heal from her time in the NICU. Essential oils became eye opening for me as I attended seminars and classes and tried to learn everything I could about these natural solutions. I loved that because they were natural, there was very little risk or side effects if used properly. So many of the medications and procedures that she had endured in the NICU left us with another problem that had to be treated. I began using oils instead of conventional baby products and found that even these changes would help boost her immunity. All three of these oils can be applied with a carrier oil such as coconut oil, avocado oil, olive oil, or another oil to the bottom of the baby’s feet using only 1 drop of a high quality essential oil. I love making a batch of tea tree oil blend for on-the-go traveling. 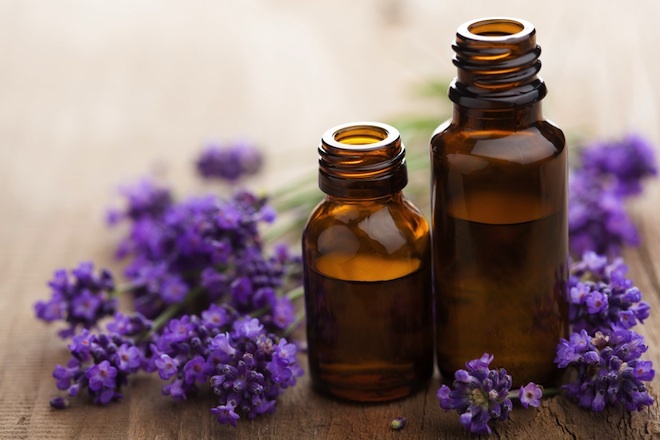 To find out more about essential oils and how to use them, you can read my blog, but it is also important to do your research and proceed with caution so that you can use them effectively and safely. No you don’t have to take your baby to the spa everyday, but you can create one at home that has lasting results! I remember when the occupational therapist came into our room for the first time, she was calm and gentle. She explained to us the importance of infant massage for preemies, including reduced stress, increased immunity and faster weight gain. She showed us different massage techniques and encouraged us to use this time to bond with our little one. She would stop by every few days to check in on us and see how the massage was going. I loved this time to bond and help our sweet one gain weight and stay healthy! Since being discharged, we have continued the tradition, only now I use our essential oils to create an even stronger immune boost. Every night after bath time our little one gets a massage, by either me or my husband, and this not only improves her immunity, but it also helps us to bond with her. This was something that we loved doing in the NICU and have continued to do so since. A quick tip if you don’t have time for a full massage and you’re trying essential oils: rub a bit on the bottom of baby’s feet. A little massage is better than none, and the soles of the feet are one of the best places to apply oils. Feeding our preemies nutritional food is one of the main ways that we can keep baby healthy in all realms, including their immunity. Breastfeeding, and vitamin C rich foods like oranges and strawberries, are great natural sources. This can be tough to do when traveling, but I have found that packing a cooler of food for my little one has always helped. It is so surprising to me that so many baby foods are loaded with processed wheat and sugar – both of which don’t protect immunity, but rather break it down. So I make my own and pack it for the drive. Learn more about nutrition immune boosters and the delicate balance it takes. As preemie parents we want the best care for our child, but we still need to consider the advice of our pediatrician and discuss any of these topics with him/her before beginning them. I hope that some of these tips empower you to travel with your preemie, or at least go to the grocery store once in awhile. With my preemie, we were on quarantine for nine months after being discharged from the hospital and it felt so weird to be able to go places with her once that quarantine was over. These tips and tricks have given me peace, and given her a better immune system. Read about how we survived quarantine on my personal blog. PLEASE be very careful with probiotics. Not all preemies would benefit from them and in some cases they may be harmful. While for a majority of people probiotics are helpful, there have been several cases of severe problems and even death in preemies caused by probiotics. As with any other changes to you child’s diet and medications this should be discussed with your doctor before starting. My Preterm baby will be one on Feb 28, he is yet to have neck control. his thumbs are not too flexible. We go for therapy and the doctors, though ruled out CP. in less than 48 hours after birth, I travelled with him and he developed high fever, went on oxygen after convulsing and pale. Any help please because it keeps me worrying.